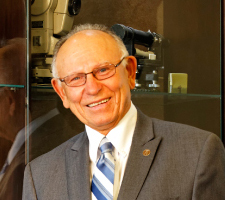 Founder and President of Krcmar Surveyors Ltd., Vladimir began his career as a Land Surveyor in 1960. He calls upon his decades of experience to inspire his team of experts—a team that includes his children, Saša, Tom and Maja, as principals. Each plays a key role in carrying on the Krcmar tradition. Only quality makes the difference. To stay at the top, everything that is done here and goes out of the office must be correct.